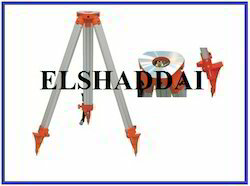 We are leading supplier of Tripod Stand. With our vast industrial experience and knowledge, we are offering a large range of Acrylic Brochure Stand. This Acrylic Brochure Stand is provided by us for using in parks, government facilities and other for displaying information to be easily sent to the people. Moreover, our offered product is durable too. It is Heavy Duty Wooden Tripod. Which is useful for Total station, Theodolite, & Auto Levels. Tripod stand quality has made in Teak Wooden. All the Stand manufacture is especific method using the Anti Terminte Solvent mixup in oil painted and Power coated aluminium Rod. We are offering Tripod Winch to our client. DescriptionThis type of tripod is designed and developed for speedy popularization of digital camera and compact video camera. Unlike the traditional tripods, they firmly ensure that your camera can be used anywhere and everywhere. 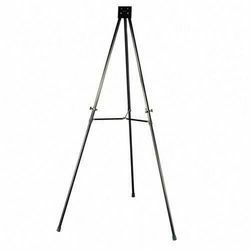 Tripod Duble side sand, Dynamically balanced, these stands are light in weight and can be handled with ease. Our clients can avail these in different specifications, depending on their area of application and requirements. Thread Size (inch): 1 to 2"
Adjustable Tripod Stand product is greatly demanded in the market because of it sturdy structure and make. Our clients nationwide appreciate the quality, finish and design of our products. It is available at a very reasonable price to our clients.